This is a Bluetooth Handsfree module which an be added to any Xcarlink interface with a Bluetooth Micro USB connection. Simply pair it with any bluetooth enabled mobile phone, and it will allow you to make and receive calls hands free through your car stereo speakers. The Bluetooth module has a separate microphone for added convenience and optimum sound quality. Music playing automatically pauses when a call is made or received and then resumes when ended. In addition the bluetooth module allows you to wirelessly stream music from your mobile phone or bluetooth enabled device to your car stereo. If you are not on the CD Changer/iPod source – you will need to switch over to the source when you receive a call as the interface uses that port of activate the Bluetooth function. The Bluetooth module simply connects to the micro-USB connection on an Xcarlink iPod or USB interface. The microphone can then be mounted within a close proximity to the drivers position. 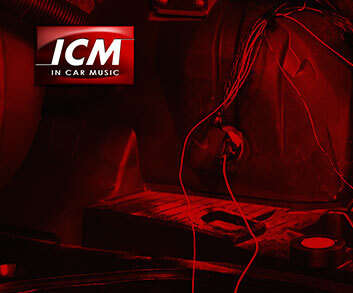 It is a plug and play operation with no additional installation required to you car audio system. When you phone displays the list of available Bluetooth devices select "XCarlink"
When the phone asks for pairing code enter "0000" and press OK/Connect. The Bluetooth device is now paired with the Xcarlink Bluetooth module and you are ready to receive or make a call. Dial the number on your phone or select a contact. The sound will automatically be routed to your car audio system. During a call the music playing on the iPod or USB interface will automatically interrupt and it will allow you to take the call. Music will the continue to play automatically after the call has ended. Compatible with all Xcarlink USB or IPOD interfaces with the micro USB connection. Please note, that on the USB interface, the Bluetooth module uses the same port as the 3.5mm AUX cable. Only one can be connected at any one time.